1 May 2009, at 11:03a.m. 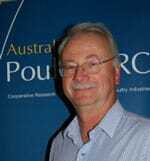 AUSTRALIA - Poultry CRC's application has made it to Stage 2 of the CRC Program Selection Round, Professor Paul Hemsworth is the new Manager for Program 3: Welfare and Environment, and there are details of the forthcoming Pathfinders Conference. The Poultry CRC's application has made it to Stage 2 of the CRC Program Selection Round. It's a great result and I thank all those who have worked together to get us this far. Stage 2 consists of two parts: scientific peer review of Research Project Proposals (RPPs) by relevant experts and an interview. We are preparing an RPP for each of our proposed Research Programs, which must be submitted by May 12. The interview team will head to Canberra at the end of June to convince the CRC Committee that Australia needs a second Poultry CRC, taking the centre through to 2017. The Steering Committee for Poultry CRC II, which comprises representatives from core participants, will drive the next stage of the CRC's rebid. The strong support for our rebid from both industry and research providers was a key to the development of a well articulated application addressing important national priorities and industry imperatives. This cohesion was evident in Sydney on April 24 when poultry industry representatives and research providers met for a workshop to discuss the National Poultry Research, Development and Extension strategies for the next ten to fifteen years. A second CRC would continue to strengthen the connections underpinning this level of teamwork. In other news, The University of Melbourne's Professor Paul Hemsworth has replaced the late John Barnett as the Poultry CRC's Manager for Program 3: Welfare and Environment. Paul is a well-recognised expert in animal behaviour and welfare and has been involved with two welfare-related Poultry CRC projects. Poultry CRC members and students will be in Canberra in late May, just a month before the CRC interviews, to attend the Pathfinders Conference with other CRCs. How innovation can help fortify industry and governments against financial shocks is the focus of this year's program. If you are interested in attending, click here to visit the conference web site.